MathSP provides the preparation you need to score your best. Guaranteed. We provide premier test preparation through one-on-one coaching and small group courses (see specific test pages for more details). MathSP expert coaches present all curricula in an interactive environment that facilitates deep learning. All students benefit from concept-based homework assignments, timed practice sessions, and real practice tests. Do you need guided preparation to score your highest on your entrance exam? Would you like to review important concepts that will be tested and master test-taking strategies? Do you want to retake an exam to dramatically increase your score? Work with us. We can take you where you want to go. MathSP Coaches help middle school students excel in academic Math and Science subjects. Our coaches also prepare middle school students for state exams as well as independent school entrance exams. For those students interested in applying to the DUKE Talent Identification Program (TIP), we can help you prepare for all sections of the ACT or SAT. MathSP Coaches help high school students excel in academic Math and Science subjects. We also prepare students for independent school entrance exams as well as college admissions exams. We can help your child score higher so that they are more desirable and competitive to colleges and universities. MathSP Coaches help college students advance their education during college and post-graduation. 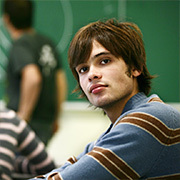 We help you excel in your college Math and Science courses. Plus, if you are looking to earn a graduate degree in any field, we can work with you to boost your math skills and improve your test scores. Let us help you score higher on the Quantitative section of any admission test! MathSP Coaches help working professionals reach their career goals by teaching important Math concepts to increase proficiency and preparing individuals for graduate school entrance exams. If you are looking to earn a graduate degree in any field, we can help you boost your math skills and score higher on the Quantitative section of any admission test!